ORDER LOVE YOURSELF: HER NOW ON AMAZON! This WILL NOT count towards the UK chart. Welcome to BTS UK ARMY UNITE's fansite. Here we can celebrate together over these seven amazing Bulletproof Boys and spread the word on upcoming UK projects and campaigns. We've already had a few campaigns that helped BTS to chart on UK ITunes and Official Charts Top 100 downloads. 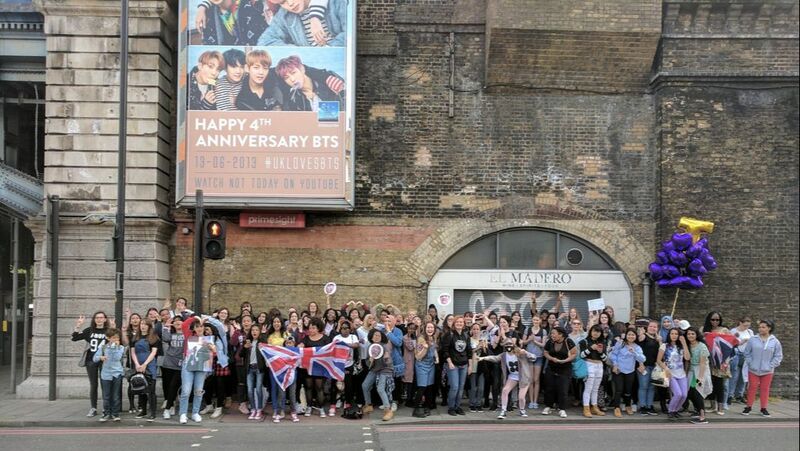 Our main goal is to get BTS to London and perform one of their spectacular concerts here. The UK has previously had recognition from Hitman Bang himself for our hard work at getting them in the Itunes chart. We will continue to run projects to promote BTS and raise awareness with their label, Bighit, about how much the UK loves BTS and wants a London concert to happen. Our current campaign is to get another billboard advert and have a birthday party in London, UK. To find out more head on over to our FAN PROJECTS page. BTS, Bangtan Sonyeondan, Bulletproof Boy Scouts, Bulletproof Boys. They go by many names but it's easy for us all to agree they are gods among men. Ethereal legends that serenade us and brighten our lives through their music. Music that they mostly write, compose and produce themselves. The oldest is 24 and the youngest is 19 by the way. All that talent at such a young age. 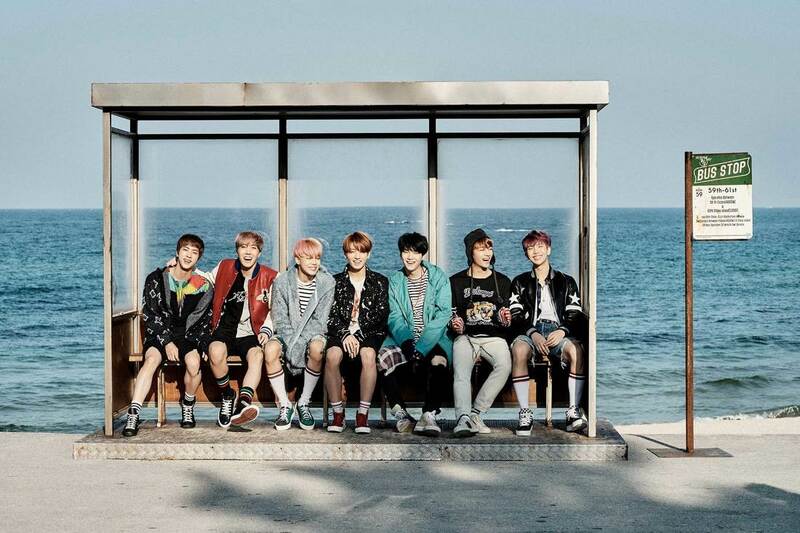 BTS debuted on 13 June 2013 and have had global success over the years. Their fandom name is A.R.M.Y. ; Adorable Representative M.C. For Youth. They write their songs around the issues young people face; the struggles, highs, and lows of love, life and academia. Throughout their 4 year career they have gained a lot of global recognition and have worked with amazing artists such as, but not limited to; Wale, Mandy Ventrice, Coolio, Warren G. Find out more on our WHO ARE BTS page or visit their website: bts.ibighit.com. Images and music videos copyright belongs to Bighit.